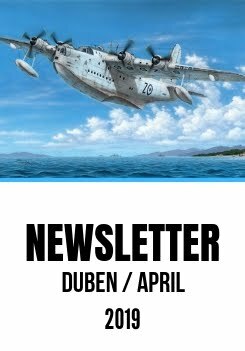 The June 2016 instalment of Special Hobby Newsletter is here for you and the hot announcement it brings is the two-seater B/BE version of our 1/72 Mirage F.1 kit. We believe it will become a hot-seller, as our earlier models from the Mirage F.1 family, the F.1CG and F.1CE/CH kits were, which in actual fact are already almost sold-out, only very few of them remaining in the stock. There are also a few models which are sold out and we do not plan to make any reissues: SH72109, SH72034, SH72178, SH48046, SH48075. As we wrote in the last newsletter, we are still very very busy finishing the 1/32 Tempest kit. As we are fully aware of importance of this model, we are going to prepare a very special Tempest issue of the SH Newsletter, most likely to be published in mid June. The Mirage F.1 came about as a private venture by the French Dassault company designed to fulfill the future needs of the Armée de l´Air which eventually ordered two prototypes to be built under designation F.2 and F.3 and being equipped with JTF10 power plants. On top of these government contracts Dassault also decided to go ahead with their own design which featured a smaller airframe powered by an Atar 9K jet engine. This prototype, which was eventually chosen for military service as the Mirage F.1, took off for its first flight on 23 December 1966 and production aircraft entered Armée de l´Air service as the F.1C single seater fighter and F.1B two-seater trainer versions. During their service, some of F.1C machines were upgraded by fitting of the IFR (in-flight refuelling) probe, their designation thus changed to F.1C-200. The French military also operated dedicated reconnaissance and ground-attack versions known as the F.1CR and F.1CT, the latter being converted from the earlier dash 200 airframes. The total number of all F.1 Mirages in French Air Force service reached 246 aircraft. Dassault also tried to offer the Mirage F.1 to several air forces throughout the world and indeed, the type enjoyed export success, many of the machines flying in Europe also with Spanish and Greek forces, in South America the type was ordered by Ecuador and it proved to be particularly popular in Asia and Africa, serving with the air forces of such countries as Gabon, South Africa, Morocco, Libya, Iran, Iraq, Jordan, Qatar and Kuwait. The two-seaters flew not only in France, but also in Libya, Spain, Jordan, Kuwait, Iran and Iraq. The fighter variant of the Mirage saw combat action all over the Word, including mock dogfights over the Aegean between Greek F.1s and their Turkish opposition. The French machines saw real action over Chad and during the 1st Gulf war against Iraqi Mirages, Ecuadorian aircraft were used in cross border skirmishes with Peru, South African Mirages saw extensive combat as a ground attack aircraft and fighter coming up against Cuban-flown Soviet Migs. Although it is now quite an old aircraft, the type still sees frontline service with several countries including Libya, Gabon or Iran. The two-seater Mirage F.1B/BE kit offers the modeller a wealth of detail throughout and comes via seven grey styrene sprues, one clear sprue with cockpit canopy and other smaller transparent parts, and a set of alternative resin parts depicting special features of Spanish machines such as were the Sidewinder wing-tip launchers and chaff dispensers positioned beneath the tailplanes. A decal sheet printed in excellent quality by Italian Cartograf caters for two French Mirages, both of them in a standard camouflage scheme of Blue-grey over aluminium-painted lower surfaces and sporting dazzling and attractive anniversary / retirement markings. The third machine on offer is a Spanish one with neatly painted rudder wearing black and yellow tiger stripes and a four-tone tactical camouflage typical for early Mirage F.1 versions in Ejército del Aire service. The Brewster Aeronautical Corporation, an ambitious and originally a car body building company, became famous in aviation world chiefly for the F2A Buffalo mid-wing fighter with retractable undercarriage, designed by Dayton T.Brown and R.D.MacCart in 1936 to meet the US Navy requirement for an all-metal carrier-based fighter plane. The US Navy were looking for a new fighter plane to replace their already obsolete F3F biplane fighter machines. The prototype known under factory designation as Model 139 and in the military as the XF2A-1, took off for the very first time in December 1937. Eventually, the US Navy ordered fifty-four of F2A-1 version (Model 239), although utilised only some of them , the rest being sold to Finland. The reason for that was that in March 1939, the US Navy had requested the Brewster company to fit a Wright R-1820-40 engine into a XF2A-1 airframe. This power plant possessed rather better performance comparing to earlier dash 22 variant and it gave a birth to a prototype of the new version, the XF2A-2 (Model 339) that featured also a new propeller unit with electrically-operated, variable pitch blades. Several other internal alterations were also carried out. The military ordered a batch of forty-three machines of F2A-2 variant to make up for the F2A-1 fighters that had gone to Finland, those made their way to Finland via Norway and Sweden, totaly forty-four of them reaching their new country of operation between January and May 1940, too late for them to take part in the Winter War. Having missed this conflict, they enjoyed their finest hour during the so-called Continuation War, seeing service with the LLv 24, or No.24 Squadron of the Finnish Air Force. On June 25, 1940, Soviet bomber planes attacked the Finnish territory and met the Finnish opposition in the shape of the Brewster fighters. During their service, the Brewster Buffalo were regarded very highly in Finland, in contrast to their reputation within other air forces, mainly owing to the fact that the Finnish bought the first version which was substantially less heavy than the later ones. It also had much better manoeuvrability and harmonized performance. The Buffalo was also known by the nickname Taivaan Helmi, or Sky Pearl. Those machines of the F2A-1 variant that remained in the US were heavily used in training service until being worn-out and eventually written off. The F2A-1 kit comprises nine grey styrene frames, a frame with clear parts, a set of finely detailed resin components and a PE-fret. The decal sheet caters for machines in pre-war distinct guises and offers also one machine in an overall grey finish. We also would like to inform you that we change the catalogue number of the product R-2 TACAM - now it is 100-SA35003 (T3022 before) and we also made a new box for it, we hope you are going to like it. A-20B/C "Boston with UTK-1 Turret"
Detailed resin set portraying the Blenheim engine, meant to fit the new Airfix model. As the right-hand and left-hand side engine installations are identical, it is up to the modeller which side he wishes to use the set for. The set comes with detailed resin cast engine and its components, engine bearers, air intakes, bulkhead, cowling panels with reinforcements on their inside and also with the typical cowling nose ring designed one-piece with the exhaust tubes. This control surfaces set offers the modeller a pair of ailerons, wing flaps and a tail fin with a separate rudder. All the parts panel lines and inspection hatches are finely rendered. The new Special Hobby Fouga Magister kit will benefit not only from addition of nicely detailed resin wheels (CMK set no. Q72228) or pilots´ seats (Q72227), the modeller also may wish to add a trio of convincingly sculpted figures, two of which are the pilots and the last one depicts a ground crew member. In total 12 barrels come with this set, in two different lengths, designed to fit WW2 .303 Browning machine guns replicas in your model. These barrels could be used to replace not very nicely reproduced plastic barrels of fixed machine guns mainly in such models as the Gladiator, Hurricane Mk.IIb or Anson. Nicely detailed pair of hot seats tailored to fit your Mirage F.1B (two-seater) model produced by Special Hobby. The set brings also a PE-fret with seat belts and some other tiny details. The 30.5cm M.11 Mörser was a large caliber howitzer developed by Skoda Works between 1907 and 1911. In 1912, it was finally introduced to service as the M.11 Mörser. The outbreak of World War One saw the Austro-Hungarian army equipped with as much as 24 of these high-performance weapons. Possessing such high performance and being of rather light weight (32.9 ton) made this weapon very unique, and what is more it was possible to dismantle and transport the howitzer in three parts, making it state-of-art piece with no real competition in its category. Because of these features, the weapon was used not only by the Austro-Hungarian army on the Russian and Italian front, but it was also in service with the German army which borrowed four batteries, each with two guns together with their crews, and put them rather successfully into action while conquering the Belgian fortified positions of Namur, Liege, Antwerp and Givet and also when the Germans bombarded Verdun and Toul fortresses in France and Osowiec on the Eastern front. This splendidly detailed rendition of the M.11 Mörser has been designed using our CAD 3D technology and a 3D printer. It rightlfully stands on the very top as far as cast resin kits are concerned. The kit will allow the modeller to build it in either firing position with the barrel pointing upwards or in the loading position with the barrel placed horizontally. The modeller also may choose if he wants to have the breech closed or keep it open having the projectile inside. The projectile itself was transported into the breech using a loading gear made from a two-wheel cart moving in a pair of rails.The projectile, two wheeler and the rails are also offered to the modeller within this kit.